Senator Mike Sonko was once jailed at a Coast prison over a controversial land deal .The Senator who is vying for the Nairobi gubernatorial seat says he spent days at Shimo la Tewa prison trending in kenya has found out . 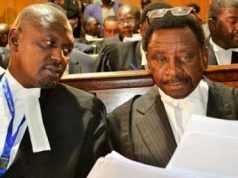 He had acted as a middle man in a land sale deal but was sued by a family whose land he had been contacted to sold Nairobi Senator Mike Sonko has put to rest reports which have been making rounds on social media that he was once jailed for a crime. The Senator who is vying for the Nairobi gubernatorial seat admitted that he once spent days at Shimo la Tewa prison after a land deal went sour. He said during a live TV interview on Wednesday May 3 that he found himself in trouble after he played the role of a middle man in a land sale deal. Sonko said that about 25 years ago, he was approached by a German who wanted to buy a beach plot at the Coast. He also happened to know of a family which wanted to dispose off its land at a cost of KSh 4 million and he decided to make money out of the deal by selling the plot to the foreigner at a higher fee. ” I approached the Masabuni family and I paid them a 10% deposit and I took the land documents,” he said during the interview on Citizen TV. He then sold the same land to the German at KSh 8 million and paid the Masabuni’s the KSh 4 million that was theirs and took the rest of the money. But the land owner got to know how much Sonko sold the land for and took him to court claiming that he had shortchanged him. But the Senator said he was acquitted after he won the case and after it was determined that he had done no wrong.